If you're like many people, the extent of your beauty experimentation with lemons involves squeezing the juice onto your scalp to lighten your hair in the summertime (natural Sun-In, anyone?). Believe it or not, that technique isn't an old wives' tale: These yellow citrus fruits actually do provide some great natural benefits for your skin, hair and nails. Take a peek at some of the great ways lemons can be incorporated into your beauty routine. When it comes to skin problems, there are few things more traumatic than acne flareups. However, rather than spend a fortune on expensive store-bought formulas, why not reach for a lemon already sitting in your kitchen? According to HopingHealth, lemon's antibacterial properties "penetrate deeply into the skin to absorb impurities from the pores." Combined with a little bit of honey, known on its own for antiseptic properties, this treatment may work to help clear up acne-causing bacteria. 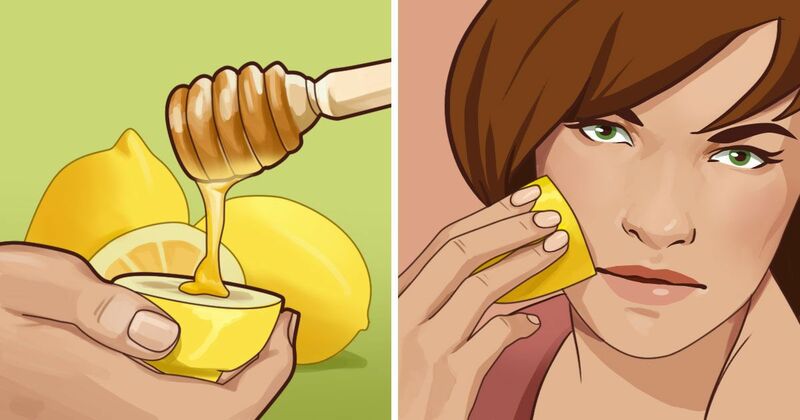 HopingHealth recommends putting a bit of honey on a lemon and applying it to your face a few times a week. The lemon also acts as an exfoliating agent, sloughing off dead skin cells for a more radiant complexion. Lemons are also known for their skin-lightening abilities, making them a great way to combat unsightly signs of hyperpigmentation such as dark spots and acne scars. The folks at Top 10 Home Remedies explain that the citric acid in lemons works to "bleach" the skin. Top 10 recommends using a cotton ball to apply lemon juice to affected areas on the skin twice daily, letting it sit for 10 to 15 minutes before rinsing off. Top 10 suggests repeating the regimen for several months until you notice results. While no one can technically see your canker sores, they're definitely a drag and prevent you from feeling your best. Becky Sturm of beauty shop StormSister Spatique tells Women's Health that dabbing any infected areas with a couple drops of lemon essential oil helps them heal faster. No need to hide your dull-looking fingernails under endless coats of polish. The Stir recommends soaking your fingernails in a bowl of warm water, lemon juice, and honey for a lighter and brighter appearance. Afterward, you just may decide to skip those manicures and go bare! Dandruff's a real drag, but believe it or not, lemons can help treat this scalp condition. Home Remedies for Life explains that the antifungal properties of lemon juice, as well as its tendency to soothe itchy scalps, makes it a great agent for fighting those icky white flakes. All you need to do is apply the juice directly from a lemon onto your scalp and let sit for 5 to 10 minutes before rinsing out with cool water. According to The Fit Indian, lemons are a popular method for treating stretch marks because they're chock full of "alpha hydroxy acids (AHA) and Vitamin C. Vitamin C is also known as ascorbic acid which ensures the production of collage." For best results, Fit Indian recommends rubbing lemons directly on your stretch marks, letting the juice sit for 10 minutes, and then rinsing with warm water. Would you try any of these tips at home? What are some ways that you use lemons in your beauty routine? Tell us in the comments below and make sure to share if you found them as "enlightening" as we did!